ENCYCLO FISH | Who are we? 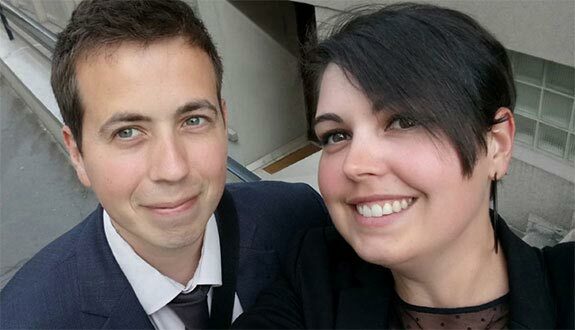 Caroline and Michaël, married and aquarium enthusiasts for more than 10 years! We wanted to create a website both beautiful and containing quality information. We gave a very practical orientation to Encyclo Fish: the advice is adapted to the maintenance of the species in aquarium. We have tried to produce a fluid and pleasant text to read. We do not claim to be experts in all areas of the aquarium hobby. Thus, the advice of Encyclo-Fish is born from many hours of research, our experience, our various readings and sharing between enthusiasts. But who does what? Caroline takes care of the content of the website: graphic design, webdesign, writing, and social networks... quite a lot... ;) ... Michael takes care of the updates, the directories and also participates in the writing of content. It is also THE undisputed master of good ideas :). For the translation, it is Nicolas who takes care of it, on the website and on the social networks. He is our international representative!